My pull list was quite full this week despite passing on a few titles this week. Continuing with our theme of rebirth, I felt like this was a theme throughout all of the titles I read this week. Each book felt like a fresh beginning. The Walking Dead has Rick at war again, we return to Buckaroo in Nailbiter, and something snaps in Logan in Old Man Logan. Given the drama behind last week's releases this feels like a fresh start to my summer reading season. Paper Girls #6 - Things get very interesting for the girls in this issue as they are transported forward in time to 2016. Not only that, but they cross paths with future Erin (who is listening to Coast to Coast AM which is excellent). Trying to locate KJ, back in 1986, we learn that these four girls are the key to saving that world. The elephant in the room is how do they locate KJ and how do they somehow make it back to 1986? The only things they have going for them is an Apple device from the future and the fact that KJ is nearby. We learn something about KJ that I won't spoil that will be interesting to see what impact it has. If you are looking for a nostalgic time travel adventure with flying dinosaurs then you should look no further than this spectacular title. 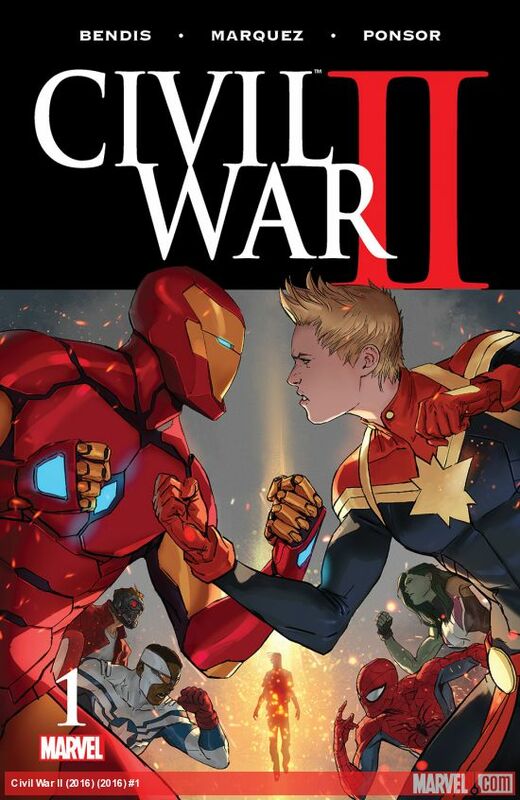 Civil War II #1 - The new Civil War is here. This time the line drawn in the sand is between Tony Stark (who else really would consistently choose the wrong side) and Captain Marvel. The divisive issue is whether or not to trust an Inhuman who has the ability to see the future. The catch is that he's been an Inhuman for all of a month and Jean Grey can't even see in his mind. I will avoid spoilers, but was pleasantly surprised with this issue and really look forward to seeing where this event takes the characters. With any big event, I am wondering if it will have any lasting issue on the Marvel Universe, as this event wasted no time going on Game of Thrones right off the bat. 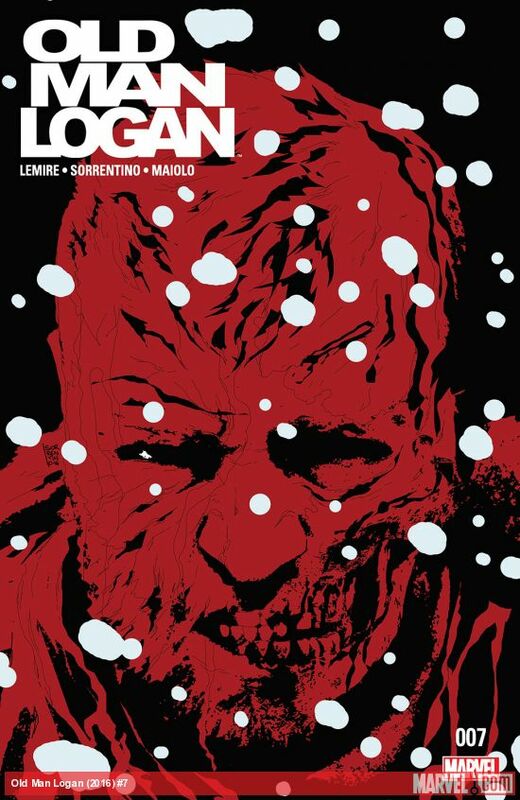 Old Man Logan #7 - This is the best issue of the series so far. This issue felt like it was written by Jeff Lemire and really focused on the emotional bonds that Logan has with those who he loves, and how he is torn apart by how much hurt comes to them on his behalf. It feels like he snaps in this issue, and things are going to dramatically change for this series moving forward. I have to admit that this series had taken a dip from my perspective after the first three, but this is the lift that I was waiting for. Cannot wait for issue #8. Nailbiter #22 - Everyone is back in Buckaroo and it seems like we are a bit closer to getting to the bottom of this town, but the real drama is between father and daughter. Alice learns some valuable information as she narrowly escapes from the real butcher. Toss in the fact that Finch informs the Nailbiter that Alice is his daughter, triggering a biting attack, and all hell (or even more hell) has broken loose. I must admit that I wasn't crazy about the arc outside of buckaroo, and am very happy to see our characters return home. The Walking Dead #157 - Looks like there is another war for Rick and his crew. It has slowly been building to this, but the first act of war between Rick and the Skinwalkers has occurred. In a twist that everyone saw coming, but is great nonetheless, Negan has connected with the Skinwalkers and will likely aid them in this war. This was a pretty violent issue and I imagine that we ain't seen nothing yet. It was great to see Michonne wielding her katana again. Batman: Rebirth #1 - I shouldn't be surprised that this issue is all about rebirth. It is in the title after all. While I am glad it didn't reboot any origin, because it is not a reboot, it felt like Batman was born again. Through the effective use of Calendar Man, Bruce Wayne and company are off to a fresh start with a fresh creative team at the helm. I like that Scott Snyder passed the torch to Tom King in an enjoyable, albeit inconsequential, issue.